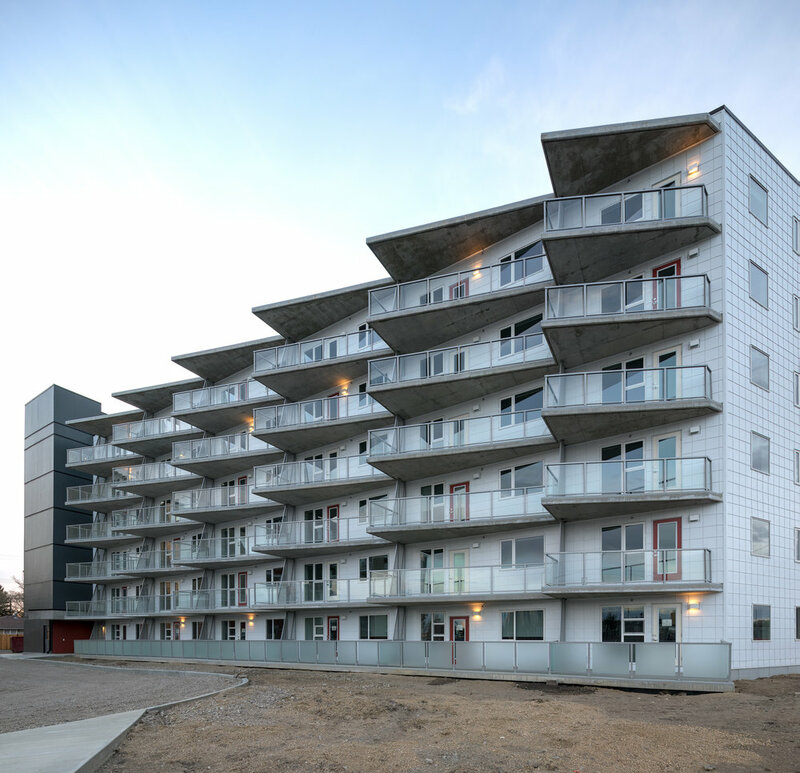 The new Parkdale Affordable housing development in Edmonton is the second phase of a project that will provide Edmontonians a safe, affordable place to call home. The most recent building will provide 70 units accommodating 230 people. This building is the second phase of the site redevelopment plan and complements the 66-unit building already on site. The Parkdale site is designed to connect to a second affordable housing building using a common entry zone while connecting the pedestrian traffic to the existing multi-use trail network and the Stadium LRT station. The two buildings will create a community hub with ground-oriented suites and a central courtyard. Parkdale will provide a mixed-income approach to cater the needs of different families and to support the financial viability of the development. 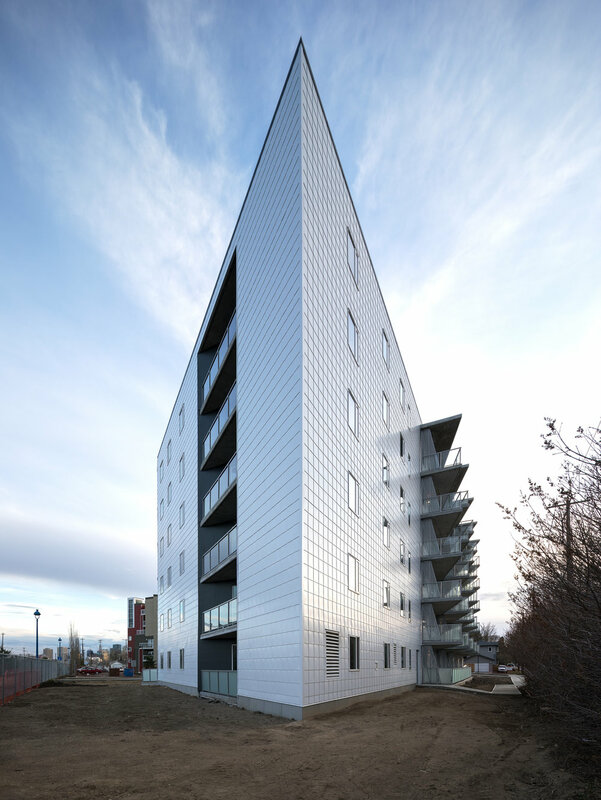 The development was designed with adaptable units to accommodate people of various abilities.